It was no coincidence that ethnic violence first broke out with the creation of the Mohajir Qaumi Movement (MQM) in 1985, shortly after Gen. Zia had held non-party elections as part of his plan to usher in controlled democracy. That year, the Mohajirs led by a former Karachi university student, Altaf Hussain contested as independents and won a landslide victory. Encouraged by Gen. Zia ul Haq to organize on non- political grounds, the refugees from India mobilized in Karachi on the basis of their separate ethnic identity and registered as a political party. In April 1985, I was tipped off by our crime reporter that gunshot victims had begun to pile up at a hospital in the north of Karachi. Word was that a speeding Pashtun mini-van driver had killed a Mohajir college girl, Bushra Zaidi. The accident itself was not news. Indeed, not a day went by when the newspapers did not report traffic deaths. Terrified of the speeding vehicles, the young women often held hands as they ran across this particular intersection. But that day, the young college girl that tried nervously to cross the road was struck down and died. Bushra’s death became a cue for the unemployed Mohajir youth. They banded, in the newly armed MQM, to fan out throughout the city and destroy mini-vans dubbed “yellow devils.” They also burnt down rickshaws and taxis owned and operated by Pashtuns. It was a direct assault on the livelihood of the migrants from the north of Pakistan who bought their vehicles on high interest loans and raced their callously-stuffed passengers at high speeds so that they could repay the loan sharks. The Pashtuns reacted in the only way they knew; they shot back and killed the Mohajir assailants. Government hospitals were caught unaware by the first major incident of ethnic violence under Gen Zia. The Abbasi Shaheed Hospital overflowed with victims of gunshot wounds. Medicines and blood were in desperately short supply. Frenzied crowds gathered on the lawns to donate blood and medicines for the victims, rushed in every few minutes by make-shift ambulances that were more suited to carrying vegetables than people. For the next several days, the riots between Mohajirs and Pashtuns left 65 people dead and 158 injured. It was a vision of things to come. Over the next two decades tens of thousands of people would lose their lives as the MQM fought with the indigenous ethnic groups – Sindhis, Balochis, Pashtuns, and Punjabis – and the military alternately used and killed Mohajir youths in an attempt to wrest back control. It was an era of the Cold War when the US Republican administration, led by President Ronald Reagan, used Zia’s regime as a conduit to fight against the Soviet invasion of Afghanistan. No sooner did the arms, bound for Mujahideen fighters, land at the Karachi Port than they were smuggled out and sold in the black market. The alacrity with which gun licenses were issued to ethnic groups made it appear that Gen. Zia preferred that they fight each other than fight his military rule. Gen. Zia’s patronage of the MQM unfolded before our eyes. His ministers would call on the MQM chief Altaf Hussain at his home in Azizabad – a lower middle-class Mohajir neighborhood in Karachi. High walls cordoned off the MQM’s head-office – Nine Zero, Azizabad – also known as Markaz or the “Center.” At the Karachi Press Club, we talked about how Mohajirs had achieved the stuff of dreams: a lower-middle class party that kept key establishment figures waiting to meet their chief. The MQM chief, Altaf Hussein’s personality lent an air of mystery to the party he had created. A dark-skinned man who wore dark glasses at all times, Altaf began the MQM as a movement for the rights of Muslim migrants from India who had arrived to create Pakistan. 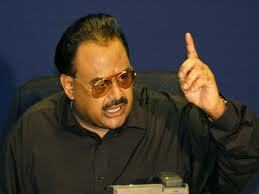 The MQM talked progressive politics, criticizing the feudals who oppressed Sindhis. But the MQM chief operated in a distinctly feudal style. Altaf Hussain projected himself as “Pir saheb” (spiritual leader), whose infatuated followers saw his likeness on the leaves around them. Years later, MQM stalwart and former Karachi Mayor, Farooq Sattar acknowledged to me in a recorded interview what I had long known – namely, that in 1984, the “intelligence agencies allowed the MQM to come up to counter the PPP”. The purpose, he said, in a tone, that suggested that it was an open secret, was to prevent the Sindhis from gaining power. The senior MQM leader referred to the 1983 Movement for Restoration of Democracy, through which tens of thousands of Sindhi villagers – who had protested against Gen. Zia’s execution of the elected prime minister, Zulfikar Ali Bhutto – were strafed by helicopter gunships in their own settlements. At the same time, Sindhi intellectuals, writers and journalists who supported the MRD were imprisoned and tortured by the military. Decades later, the former Chief of Army Staff, Gen. Mirza Aslam Baig too acknowledged on television that the MQM was created by his predecessor, Gen. Zia ul Haq as a political measure to counter the Sindhi insurgency that grew after the murder of PPP founder, Zulfikar Ali Bhutto. The press was still controlled by the military government but statements poured into Dawn from readers that the government ought to nationalize private wagons and buses and confiscate the driving licenses of reckless drivers. In the forefront were educated Urdu-speaking professionals, bewildered by the sudden upsurge of violence. Their women councilors – many of them newly elected in Gen. Zia’s government – appealed for a ban on guns and for dialogue. But such expressions of hand wringing had nothing to do with the insidious workings of the military, which secretly patronized the ethnic party for political purposes. Moreover, whilst educated Mohajirs were shocked by the violence, the reprisals by Pashtuns convinced many to organize as a political party. Since Pakistan’s creation in 1947, many Mohajirs had come to dislike the fact that they did not fit into a native ethnic group – Sindhis, Baloch, Pashtuns and Punjabis. Their feud with the Pashtuns convinced many that the Indian refugees needed a party to guarantee their survival. It would provide a groundswell of support for the MQM. The MQM was founded in 1984 (and the APMSO in 1978), and wasn’t there ethnic violence involving Pashtuns and Muhajirs in the late 60s? 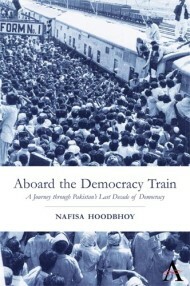 Gen. Zia held partyless elections in February 1985, when people voted on the basis of ethnic and tribal affiliations. So, although the conversion of the All Pakistan Mohajir Student Organization (APMSO) toward MQM occurred in 1984, it was only the following year that the MQM won votes on the basis of ethnicity and formally entered the political process. Again, while there was ethnic violence between Pashtuns and Mohajirs in the 1960s, it was only after the 1985 partyless elections that the battle ground was drawn on ethnic lines. In that sense, the accidental death of a Mohajir school girl, Bushra Zaidi by a speeding Pashtun driver is normally cited as the first incident of ethnic violence… the effects of which we continue to see today in Sindh and particularly Karachi. How MQM can get vote on ethnic bases, they were a party formed for Muhajirs, and Muhajirs were from different ethnicities and cultures from India. Like some were from Hyderabad (Dakan), some from Rajistan, some from Gujrat, some from UP, some from CP, some from Dehli, some from Bombay, some Madras, some from Bihar. How can you call a party ethnic, when they comprising of so many type cultures.